For the price the Grado SR60e headphones are a great pair of on-ears and great entryway into the world of Grado. Though the retro design might not be for everyone, it's definitely a head turner and a classic. If you're in the market for affordable wireless on-ear headphones, the Jabra Move Wireless offers excellent battery life and a compact build. Marshall is known for its legendary amps, and its Marshall III On-Ear is a great pair of on-ears as well. For the price, these are hard to beat especially considering they're wireless. The good thing about headphones is that there are plenty of styles and options to choose from. For portability, you might prefer a pair of earbuds or in-ears, while over-ears usually offer a few more features. But if you want the best of both worlds you can also go for a pair of on-ears. 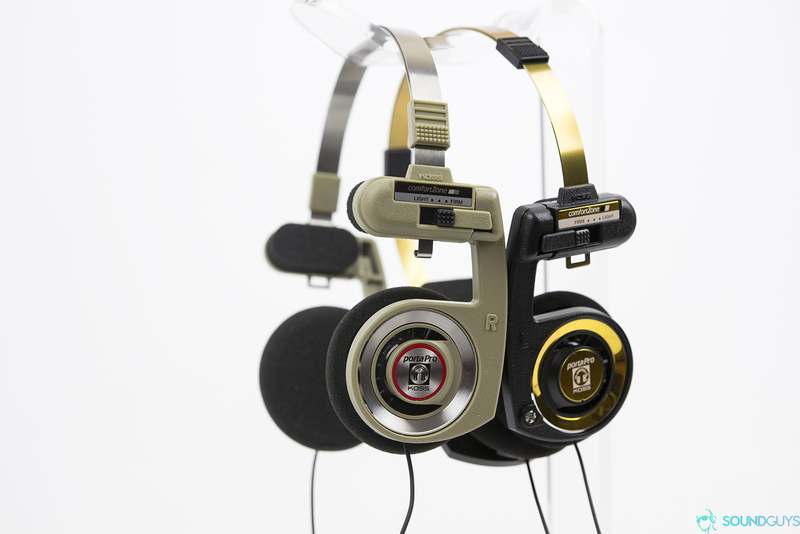 Usually, the best headphones are going to cost you a fortune, but that isn’t the case. These are some of the best on-ear headphones you can get for under $100. Grado is a name that’s popped on some of our other lists, and for good reason. The family-owned business operates out of their warehouse in Brooklyn and makes products that are known for their sound quality. One of them being the Grado SR60e on-ear headphones. For less than $100, these are widely considered one of the best bang for your buck open-back headphones you can get. The foam padding on the ear cups isn’t the most advanced, but it’s comfortable enough. Because they’re open-back you’ll get a great soundstage and the heavy duty cable won’t break anytime soon. Of course, these aren’t the most portable pair of headphones. They don’t fold at the hinges, they don’t block sound due to their open-back construction, and they don’t have an inline mic and remote to control music on portable devices. But if you just want good sound, these are one of the best on-ear headphones you can get. Getting the proper fit is just as important for on-ear headphones as it is for in-ear or over-ear models. Unfortunately, since on-ears sit, well, on the ear, it’s more difficult to achieve this. Once you do though, the benefits of proper isolation will allow for optimal bass response and clarity. If you’re looking at any of the wireless models, bear in mind that wired still trumps Bluetooth with regards to audio quality. Of course, sometimes you just can’t put a price on the convenience of cutting the cord. If you’re a die-hard Bluetooth fan, keep an eye out for high-quality codec support. Open-back headphones aren’t meant for travel since they leak noise like crazy. That said, it’s really more of a feature than a drawback since it facilitates a more realistic perception of sound. Sure, it’s not quite 3D sound, but it’s better than traditionally closed cans. Looking for the best on-ear headphones that offer the most portability? The Koss Porta Pro is a classic pair of headphones, and the new limited editions add important features along with their new color options. The retro design hasn’t been changed since it was first released, and it’s just as practical now as it was then. They have a thin lightweight frame and plastic ear cups that you can fold down to a more compact size for travel. These also have a switch on the side that adjusts the firmness of the ear cups for a more comfortable fit. They aren’t the most durable pair of headphones but they come with a hardshell case for protection during transport. What’s more, the limited edition models have a small mic and remote for use with mobile devices. 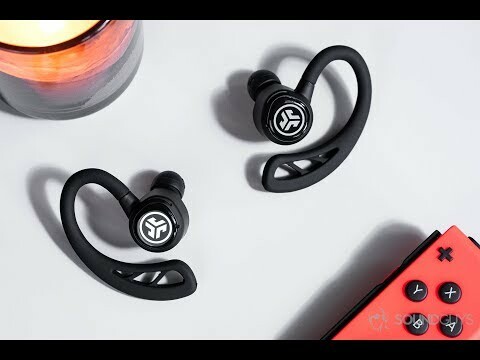 One thing to note is that these are open back headphones so although they work with mobile devices you’re probably not going to want to use them during your commute unless you want everyone to hear what you’re listening to. The Jabra Move Style rocks a minimalistic design is appealing and the angular yolks are different enough to be eye-catching without looking tacky. If you have larger fingers, the buttons may be a bit difficult to press as they’re rather small but you can always use Google Assistant to make basic playback controls and perform simple tasks. This compact pair of wireless on-ear headphones offers solid battery life, permitting just shy of 13 hours of constant playback before requiring a recharge via the included MicroUSB cable. While the headphones operate via Bluetooth 4.0 and only support the SBC codec, SBC has come a long way and Jabra’s in-house tuning provides a surprisingly clear sound. Assuming that you’re able to get a proper fit, the neutral leaning frequency response adapts well to a variety of music types. Unfortunately, external noise attenuation isn’t great, but that’s the case for nearly all on-ear headphones. While Marshall made its name in guitar amps and is now making a killing with its retro smart speakers, the company has a fine line of headphones for general consumers. The Marshall Mid is a comfortable set of on-ear headphones with aptX support for perceptibly lag-free streaming. Inside the headset is a dual-microphone setup which passively reduces external noise to clearly relay your voice to the person on the other line. Another notable feature is the ability to daisy chain two headsets together for simultaneous listening with a friend. Marshall claims these headphones last approximately 30 hours on a single charge, and the 40mm dynamic drivers produce a bass-heavy sound to please rock and rap fans alike. Despite the large drivers, the Mid Wireless gets compact due to its collapsible hinges, making these a great on-the-go pick too. Of course, what kind of best on-ear headphones list would this be without the Sound Blaster Jam by Creative. The company has continued to show why it’s one of the best when it comes to quality products at low prices. The Sound Blaster Jams continue to impress with solid sound and features for the price. First things first, these are similar to the Moto Pulse headphones in that there is no option for a 3.5mm input. It’s Bluetooth or nothing. In that same vein the microphone isn’t the best so if answering phone calls is important to you one of the other headphones on this list might better suit you. That said, if you’re looking for one of the best pairs of cheap headphones for music purposes look no further. Plus, battery life is solid at around 12 hours and the built-in playback controls worked flawlessly with iOS, Android, and even a Windows laptop. When picking out the best on-ear headphones, we took into consideration what a variety of consumers may be interested in. We realize that not everyone wants to shell out even $100 on a pair of headphones, hence our best on-ear headphones value pick and the more affordable Jabra Move Wireless being listed. We test as many products as we can in order to give you a more accurate representation of what’s available. When it comes to audio, we understand it to be both a subjective and objectively measurable experience. When applicable, we test audio products and bring them out into the real world, too. Ultimately, we want our readers to walk away more knowledgeable about audio and, in this case, enjoy some of the best on-ear headphones around.